At Eco Tech, we have years of experience exterminating pests all over Minnesota. In fact, our pest exterminators have more than 50 years of combined pest control experience among them, with years spent exterminating pests with our natural pest control treatments. If you’re looking for an Eden Prairie, MN natural pest control service, Eco Tech is the answer, with its own line of organic pest control treatments specifically designed to be less toxic than traditional pest control treatment brands. With our natural pest control treatments, you can look forward to a simpler and faster pest extermination process that won’t require you to leave your property for days on end. Whether you’re in need of residential or commercial pest control services, we’ve got you covered, providing Eden Prairie natural pest extermination services to anyone in need. 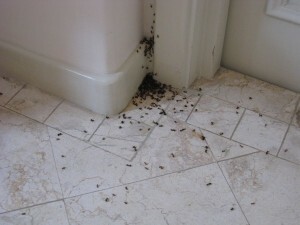 Because we’ve been in the pest control business for so long, we understand the ins and outs of pest extermination. From which pest control treatments to use to where to search for hiding pests in home and business properties, we understand pest extermination like no other business in town. After all of our years of pest extermination experience, we’ve been able to create our own line of organic pest control treatments, engineered to work as effectively as traditional pest control treatments. We have specifically designed natural pest control treatments to target certain types of pests, allowing us to provide pest control services that target the particular pests that are giving you trouble. The benefit of using our natural pest control solutions, though, is that you don’t have to worry about harm coming to you, your animals, or your children. With natural pest control solutions, we avoid the harmful chemicals in traditional brands, ensuring that we’ve created a less toxic type of pest control that won’t be harmful to your or anyone on your property. One thing we’ve learned in all of our years in the pest control business is that when a home or business owner is experiencing a pest problem, they want it solved as soon as possible. At Eco Tech, we wanted to be sure we had a way to provide fast pest extermination services, and we’ve found that by offering natural pest control treatments, we’re able to provide faster pest control services. With less toxic, organic pest extermination treatments, we are able to use our products in your property without harming anyone inside, which means you don’t have to leave your property for hours or full days to let it air out. Instead, Eco Tech can promise you Eden Prairie, Minnesota pest control services that will have you back in your property in no time. Contact us today at 763-785-1414, 612-237-8282, 952-881-6662 or 651-633-8600, and give our natural pest control services a try!